Annual flowers complete their lifecycle in one growing season. They grow foliage, flower, seed, and then die in the same year. 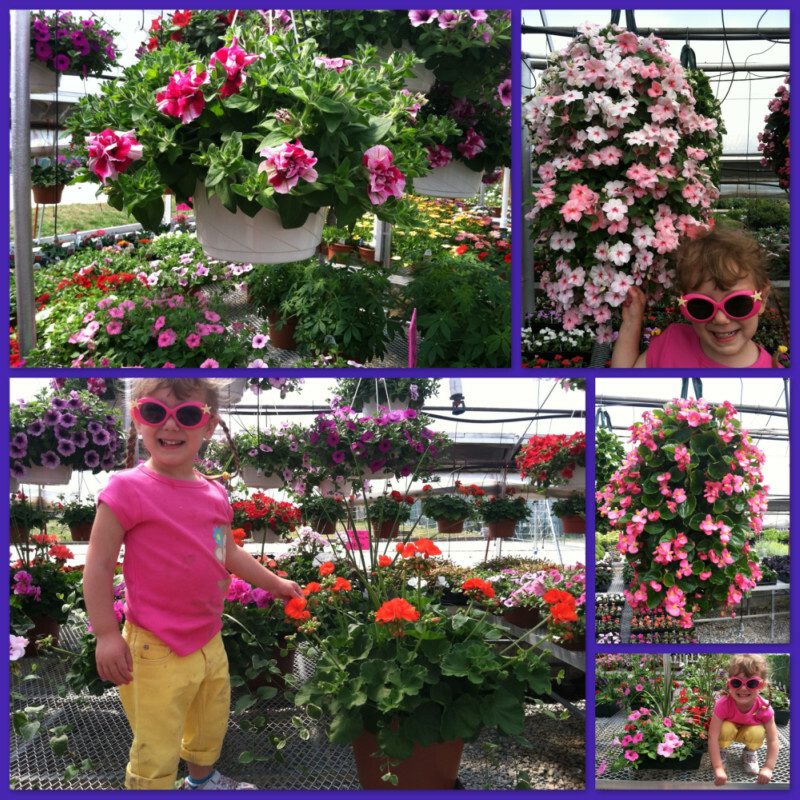 The advantage to annuals is that, while they must be planted every year, they provide showy color all season long. Typically, an annual flower can be planted safely after Mother’s Day (here in our growing zone) and will last until first frost. That’s a lot of bloom! Perennials flowers are those which return to bloom for at least three years. Some popular perennials include hostas, daylilies, and black-eyed susans. Most perennials tend to have a relatively short season of blooming (typically 1 to 4 weeks), so its a good idea to plant serveral types of perennials with different bloom times to achieve season-long color. We grow a large selection of perennials in 1 and 2 gallon sizes and can direct you to plants that will work best for your garden's specifications. Please see our resource page for more information on perennials for different types of gardens such as sun, shade, wet, and dry. 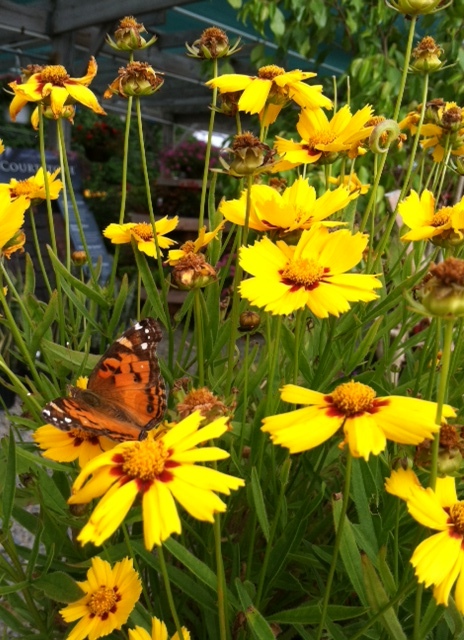 Perennials that attract butterflies, such as the coreopsis pictured below, are enormously popular.